The Inspiration of a Picture. There are times when a photograph can mentally send me somewhere. I suppose pictures have a way of doing that for most people, whether it’s an old childhood memory or just a desire to experience a place you’ve never been to. Just an image, somewhere deep in your mind lies a place that you may not think much about, until you see an image that sparks it to life. Recently, that is what has happened to me. Here is the image that sparked my imagination and desire to travel. These two pictures really got me going, but there is much more to this place. 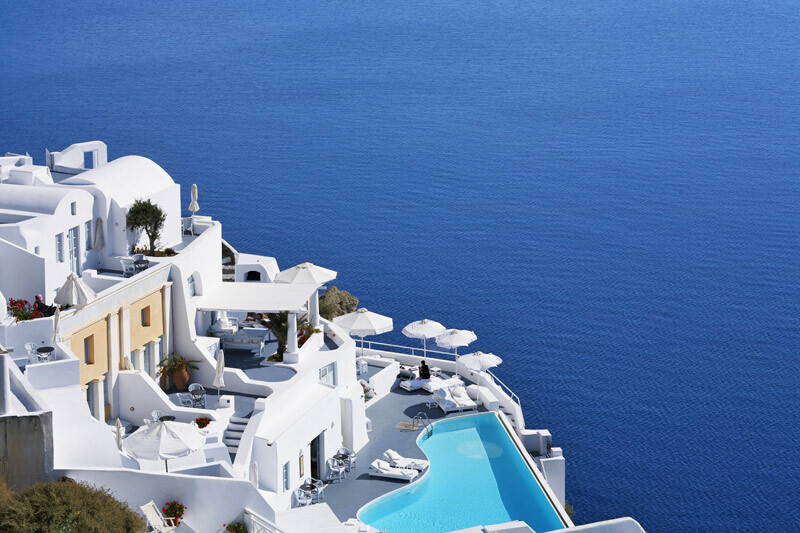 Santorini, the present day crescent shape of the island is a consequence of the activity of the volcano in prehistoric times feeding the myth of the lost Atlantis, in fact some believe the legend of Atlantis was created through the Thera Eruption, more than 3600 years ago. 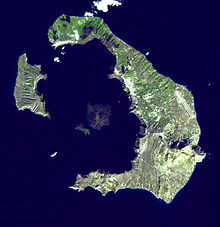 Santorini is essentially what remains of an enormous volcanic explosion, that explosion created the current geological caldera; a giant central lagoon which is somewhat rectangular and measuring about 7.5 miles by 4.3 miles, surrounded by nearly 1000 feet of high steep cliffs on three sides. The mild activity of the volcano after this major eruption has built up two small islands with int he caldera, Palea and Nea Kameni, visited by hundreds of people everyday during the tourist season. The impressive calderea dominates the west part of the island while the marvelous dry climate and the almost continuous sunshine create year-around conditions which are perfect for observation, photography and videos under and extraordinary variety of natural lights and colors that give the visitor the exceptional advantage of reaching the interior of the volcano by boat. 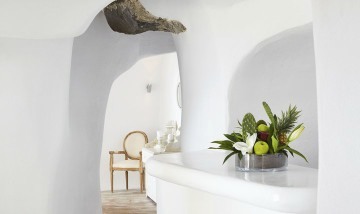 Katikies is one of the most exclusive boutique hotels in Santorini, beloved of honeymooners and the monied jet-set who holiday on this legendary Cycladic isle. 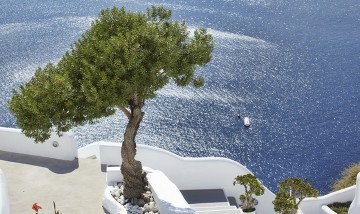 Its cluster of traditional, cube-like cottages, steep free-form staircases and series of wooden bridges cling to lip of Santorini’s extinct volcanic caldera and make the most of the island’s breathtaking views. The hotel has been listed in Conde Nast Traveler’s Gold List since 2004. 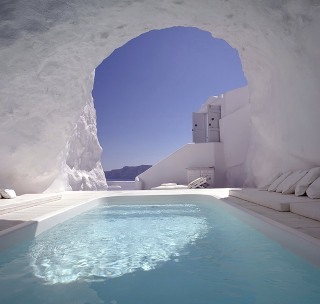 The three swimming pools at Katikies offer some welcome respite from the scorching Santorini sun. 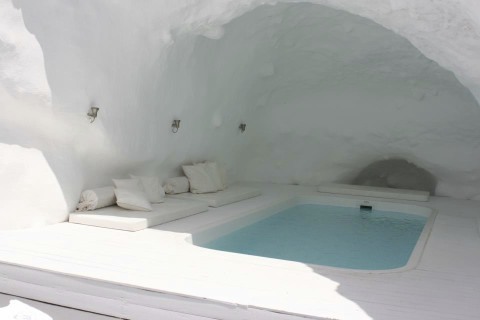 The first is a cold water pool in a small cave that’s only used in summer. There is a second small plunge pool on the same level and then the main pool with a Jacuzzi which dominates one of the boutique hotel’s many terraces. 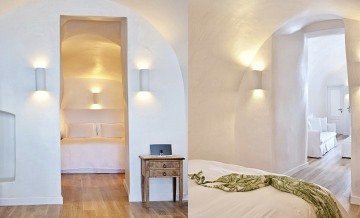 Even the simplest of Katikies’ 27 rooms has its own private terrace looking out across the extinct volcanic crater of the caldera. 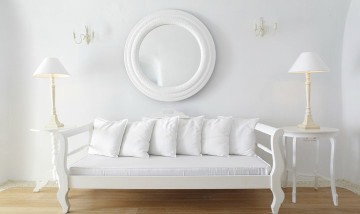 The classic look of Greece’s architecture is sure to please, with walls in white, textiles a shade of powder blue and antique Greek furniture has been hand-picked to match the traditional beamed ceilings. The more expensive rooms in the boutique hotel have Jacuzzi baths and Bvlgari toiletries. 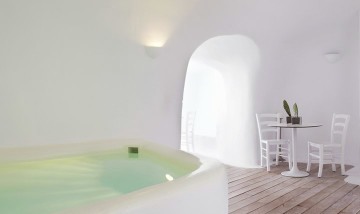 The Honeymoon Suite is by far the fanciest as it has its own outdoor Jacuzzi that’s big enough for two. 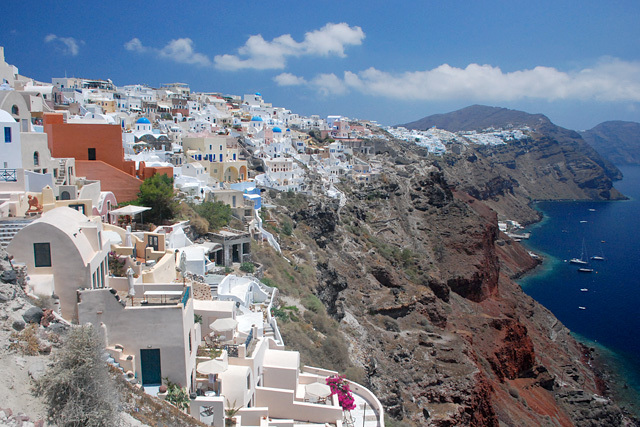 Santorini has now been moved up my list of travel locations. Right after my next adventures, Prague, Krakow, Bucharest, Budapest, Vienna, Berlin and St. Marteen. Yes all of those trips are in the plans, so stay tuned. 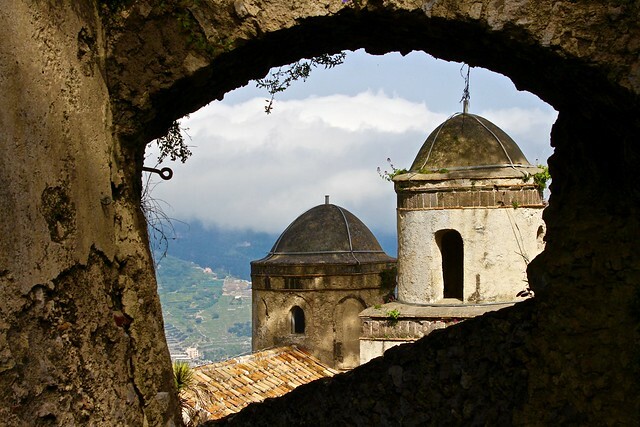 What images have inspired you to travel? 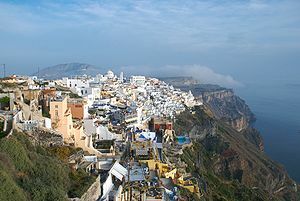 Santorini.. I’ll have to go there one day. Travelling the Islands.. It is a beautiful place isn’t it. And after dozens of pics – it’s still fresh and enticing every time. Must be the volcanic stuff and climate, making colors and everything different. Great post. Thank you, I don’t know what “It” is, but there isn’t enough of it in the world.